We see ourselves as your partner, offering equipment, service, and advice to help make your business a success. 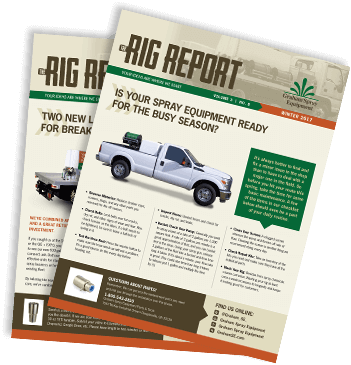 In The Rig Report, you’ll find insights and tips from business owners just like you, advice on maintaining your spray rig, and information on our equipment and service. You’ll also get to meet the folks at Graham – the same guys who will help you design a custom rig or talk you through a repair right over the phone. Get tips, information and advice on spray rigs and your business.